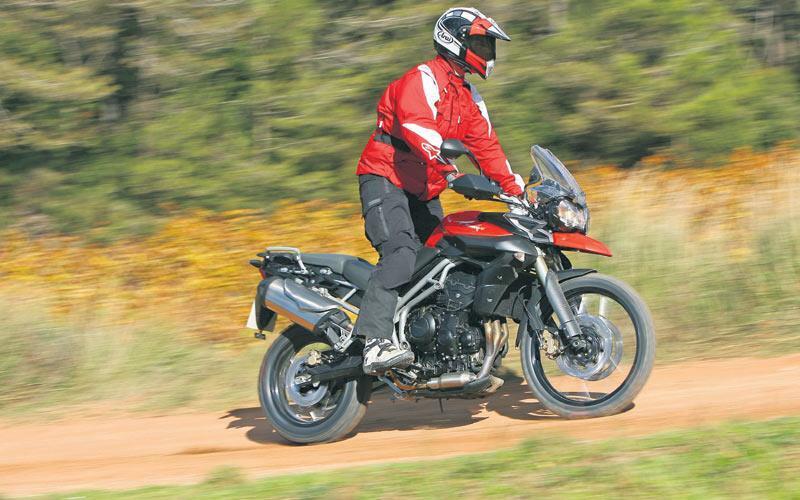 The new 800 XC is very much the bigger, burlier brother of Triumph’s two new Tigers. From the moment you swing your leg on board it’s clearly a taller, seemingly more substantial machine. The combination of 21-inch wire front wheel (in place of the base model's cast 19incher), longer travel (by 40mm) 45mm forks (the 800’s are 43mm) and slightly wider (by 32mm), higher, wider and further back bars (by using different bars and risers) make the XC seem, for a 6’3” rider like me, a much more ‘full-size’, macho and full-on, proper, adventure bike where the 800 is the more novice-friendly middleweight. The road, 19inch-wheeled, lower, lighter 800, is inevitably the sharper, slightly easier of the two new Tiger 800s through the twisties – but the XC isn’t far behind. The differing dimensions and geometry of the off-road version means it needs to be levered and then tipped into corners a tad more deliberately, the rider feels a touch more remote from the front end and there’s slightly more dive and settling from the longer travel forks, but it’s absolutely no problem and you only notice when switching from one to the other. The suspension set-up is such that, overall, on road, both are more than capable of mixing it with sports bikes and are a real blast to ride, while at the same time being decently stable, comfortable, distance machines. Triumph’s middleweight triple was already a gem, both in 675 and Street Triple guise. 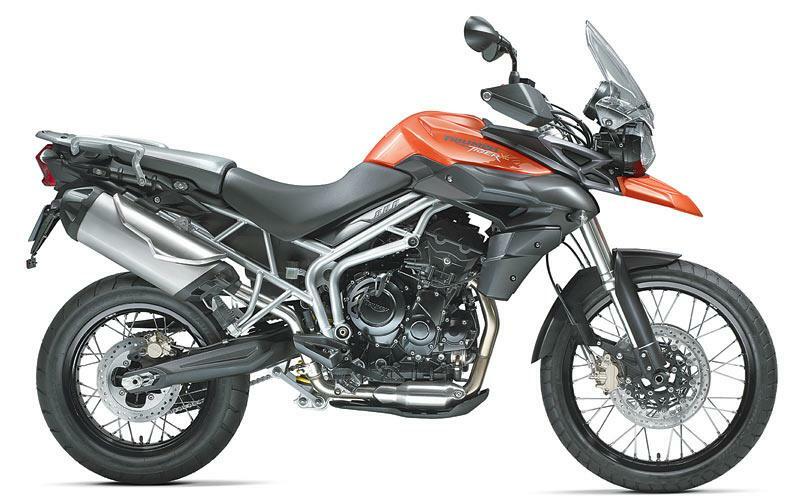 But with the stroke lengthened to take it up to 799cc, primarily to fatten-up the low and middle stretches of the 10,000rpm rev band albeit at the expense of some top end, turns the Tiger 800XC’s powerplant into an easy, seamless, idiot-proof jewel. And that, combined with the light clutch, perfectly slick gearbox and impeccable throttle response, makes the Tiger 800XC a doddle to ride. Neat touches abound, such as a little switch to lower the headlamp for pillion use, the clever seat height adjusters, plenty of bungee hooks and decent underseat storage. The quality seems good, especially with the clocks, paint etc and, with a claimed 250-mile potential range and raft of accessories is immensely versatile. 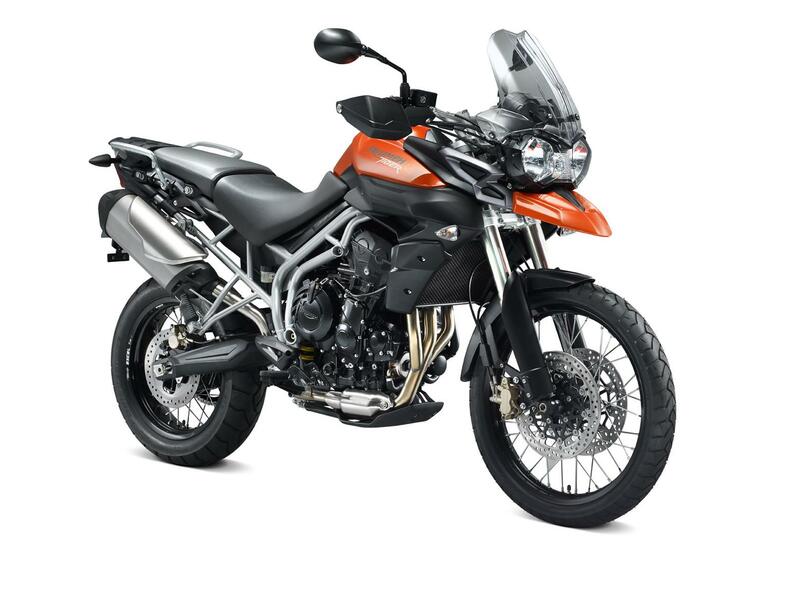 You pays your money, you takes your choice… the cheaper 800 version of the two Tigers ticks virtually every box and is probably, unless you specifically NEED some off-road ability, the more logical choice. But for many, the full-sized XC looks better, due to its size and stature, and, with genuine off-road ability, has more strings to its bow. Both are decent value. 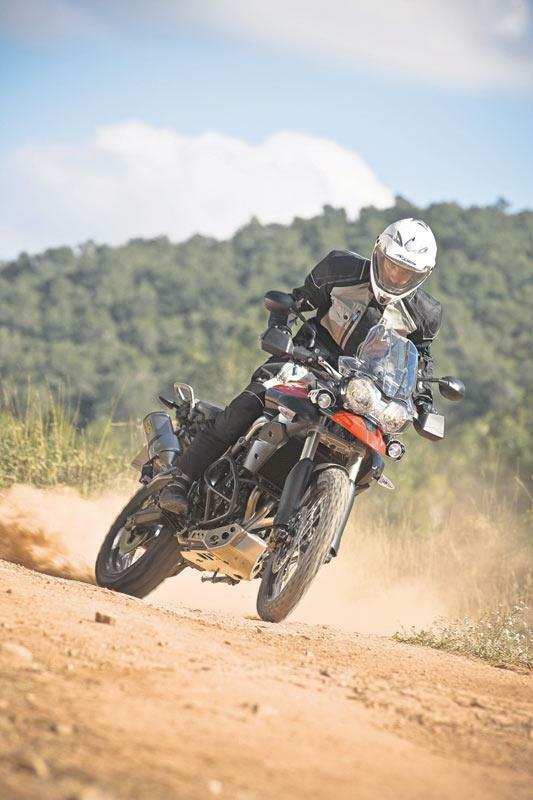 The Triumph Tiger 800XC’s modern switchgear, thorough clocks, tapered bars, mirrors and screen are all a level above the offerings of its BMW rival. While a plethora of accessories such as tall screen, sat nav holder, posh levers, are available to take things further still (although the heated grips are a little bulky and clunky compared to the seamlessly integrated BMW versions). 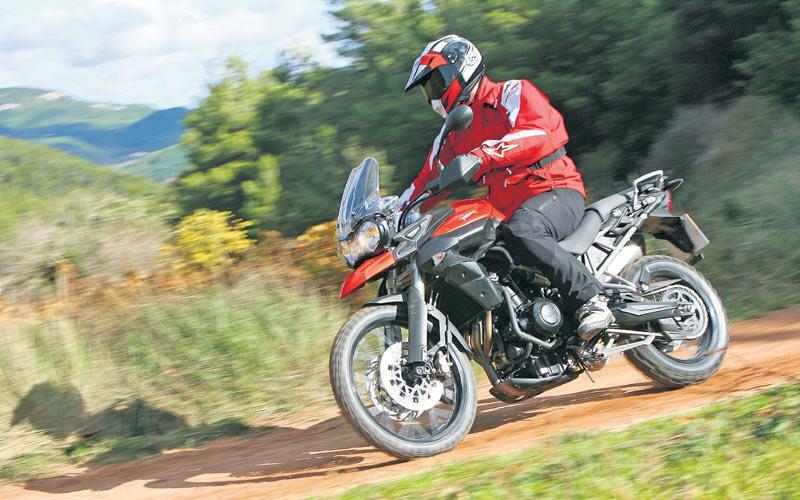 19 owners have reviewed their TRIUMPH TIGER 800 XC (2010-2014) and rated it in a number of areas. Read what they have to say and what they like and dislike about the bike below. 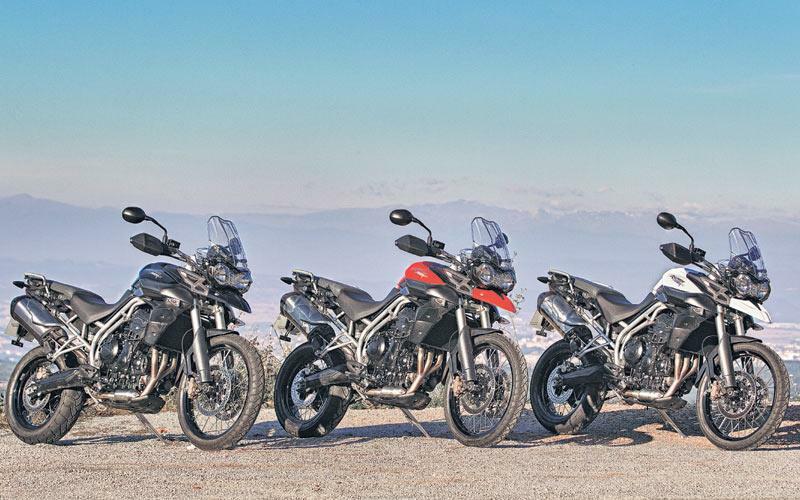 The Tiger is undoubtedly a beautiful bike to ride, on and off road it instills confidence. 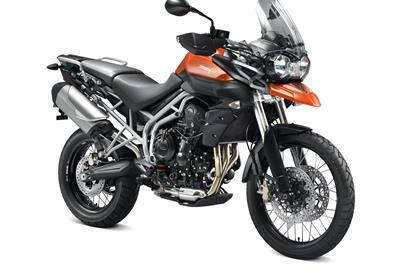 Two things really let this bike down, and Triumph should do a recall, the Starter Motor is appalling and expensive to replace, I just had mine done whilst travelling at £730! The second is the stepper! I love riding this bike but I have zero confidence on long trips! Would be a 4 if it wasn’t for the starter motor. The best in expensive all rounder fun commuter off/on roader you can buy. Even better than softer less involving XCX. Shame that sky high APR will curtail new buy. It's a triple from triumph. Nuff said. Never let me down in two yrs of all weather riding. Only the chain and tyre pressure needs attention now and then. Very Good. Triumph At Hemel Hempstead. 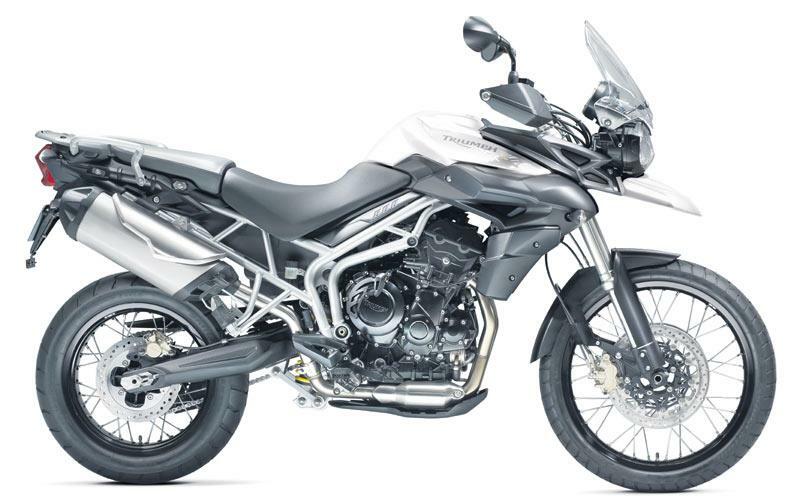 Look at Benelli or wait for the Yamaha T9 if you want a triple adventure bike. Beautiful looking and sounding bike, tremendously unreliable & disinterested distributor (KawaSUCKi). Smooth engine and good breaks, bike does perform above its weight class. OEM seat is a bit hard for long trips. Nothing sounds as good as a triple, torque throughout the range. Engine oil leaks, radiator leaks, sensor failures & an engine that burns oil (Kawa believe it is "normal" for four stroke engines to burn oil). Bike also drops second gear regularly, repeated clutch failures. As their engines burn oil you have to check and top up your oil every day. Dealer purchase - new bike. Complained to KMSA regarding poor dealership service & quality and received condescending & dismissive response. 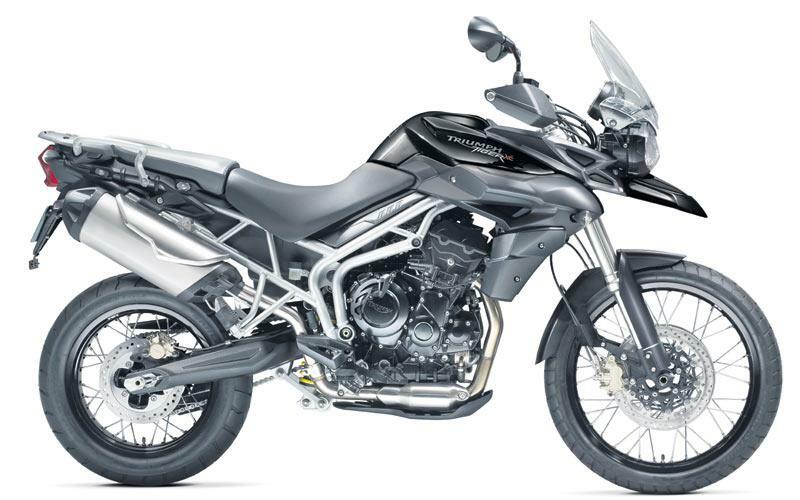 The Tiger is a stunning looking bike which rides beautifully but is dreadfully let down by a number of failings too big to ignore. First off is the starter which intermittently fails or encounters problems when the engine is already warm. I thought this may just be my bike but then heard that a friend of a friend was experiencing the same problem with his Tiger. No faults show on the engine management system and main dealers appear not to know the fix. Second is the temperature at which the engine runs - v.hot! This is not a problem when travelling at any sort of speed. However, in urban areas when getting caught in traffic and on already hot days, the heat from the engine can make you very uncomfortable. Third is the size of the fuel tank which you will hear some people say is not a problem. We took it touring in France recently and found that it was that small that we were constantly worrying about when we might come across the next gas station (rightfully so in some instances) and thus continually filling up. Lastly, the bike is very tightly geared which feels unnecessary & exacerbates the rate of fuel consumption. With its fantastic looks, quality of build (bar the starter), handling, reliability (other than the starter) this should be an award winning 5* bike. In reality, it leaves an awful lot to be desired. Does everything well... Yes everything. Buy one. Fantastic all round. Tracer 900 comes close but lacks build quality finish and a decent seat and has a bizarre gap between seat and tank. TheXc is better than the new Africa twin in my opinion. Not the XCX but the xc certainly. Cannot fault these triple engines and love the induction sound on breaking. Note -the upgrade XCX doEs not sound as good and feels a little weedy in comparison with the XC. Used all year round in all conditions and there is nothing that has gone wrong or irked me. Truly well built. 12,000mile service is over £660. I think this is steep but has to be triumph approved. Oxford roll bag, ally sump guard. Tyre options much of a muchness unless you take to the real mud and then Anekees step in for the job. Triumph dealer in Hemel Hempstead very good. Everything about the XC works very well, except the screen aerodynamics...bin the triumph screen and go aftermarket. I ride on everything from mountain tracks to M roads, and it get on with it well. Brakes are fine, easily powerful enough and I've not experienced any fade. light, fast revving and powerful enough...just. Adrellenin freaks might need more. 3 years so far and faultless. Few modern riding electronics, but that suits me. Menus are a bit fiddly and need getting used to. Triumph dealers are VERY good IME. With a tweak or two, damned near perfect all rounder. Easy to pick as an allrounder, but one or two details need work. Should be 5 from 5, but the screen is very poor, and the larger, explorer screen worse. I chucked that away and fitted a Madstad screen from HPS. Total transformation and now no turbulence and far less noise mean touring work is a pleasure. Light, revvy, very forgiving but I'd like a few more BHP, and a tad more grunt. Great engine and gearbox for the less experienced tho. About standard, but the new one is a better bet if you like 'modes and tweaks'. Excellent. Triumph have always treated me well, and Triumph Carlisle were excellent during and after sales. Beats the problems I had with the 800GSF. My only complaint is filling up can be a bit of pain. As it's very good at low speed filtering thanks to the engine. Can really shift once you push it in to 3rd and 4th gear, don't try and ride it like a sports bike and thrash first and second. It's not designed for that! Keep it clean, and it will always look good. I ride all year round, and it handles it very well. Fuel efficiency is great. I do roughly 120 miles a week, on my old Street Triple I would have to fill up twice in a week. Now I fill up twice in a month. Only 4 stars because Triumph servicing is a rip off. Take it to a normal garage for a service if nothing major needs doing. I picked my bike up second hand and it had a lot of extras attached including the touring windshield along with a scott oiler, heated grips, metal stump guard, and Zumo GPS I recommend the high windshield crash bars and hand guards. Luggage, everyone has a personal taste. Mine came with the Triumph ones, but I would buy cheaper options if my bike didn't have them. As the official ones are expensive. The Scott oiler is brilliant on this bike, and I recommend fitting one if you can afford it. By far my best bike so far! Great acceleration and loves turns as much as I do! :) Have my Tiger 800 XC for almost 3 years now and will keep for many more! One year in and pretty happy with it. Brakes feel a bit wooden, but then it's not a GSXR. They work well enough. Suspension is non adjustable and over damped. Can be sorted by progressive springs and oil. Peach. Pulls well, performs as needed. Build seems good, why silver/grey grab handles on a black framed bike? They mark far too easy. 45-50 mpg, cheap tyres, usual service costs. Palmers Triumph at Hemel has been ok. Recommended. The bike is well balanced and solid, responsive and fun when pushed. The induction noise on rapid deceleration is a guilty pleasure too and it's surprisingly flickable in corners for a bike with a 21inch front wheel. Hugely better than its lacklustre brother the XR unless comfy slippers float your boat. I have slight issue with the annoying ticking clock sound of an otherwise excellent engine but hey... Worth looking at on Youtube for the reviews as they helped me to decide to go for the XC. So far... But only time will tell. Lots available if you really want to blow your cash on overpriced non essentials but ally sump guard is well worth it and If I win the lottery then I might go all fog lampy. I've been riding for 3 hours the last 5 saturdays and it's just fun. A detail: the riding position is a little bit "sporting", not so sat straight like others big trails. Strong engine. Good in the city and excellent traveling on the road. But you do not have a torque plucked like a XT 660 (my ex-bike). A premium bike in every detail. The XCx model comes with all the equipment you need. If you wanna go on long trips, you can buy the top box or the panniers. I usually use my old bag packed like a top box, and it doesn´t bother my wife - she still has a very good space. Despite all the hype, the motor is undergeared and too revvy, which leads to poor fuel consumption. There is NO WAY it puts out 94 bhp, 64 is more like it. The pannier lower mountings are naff and stick out toofar. The seat is a plank and the lowrider even worse. The extras needed to bring it up to a practical spec are too expensive and poor quality. The Triumph topbox is nearly as heavy as the bike!! Not my best buying decision!! I have owned my Tiger 800 XC for a little over a month now and put over 2000 miles on it! I cant keep off it. Everything about this bike is truly excellent. The ride, handling, comfort, engine, everything! My only grip is a noisy screen, but that's it! 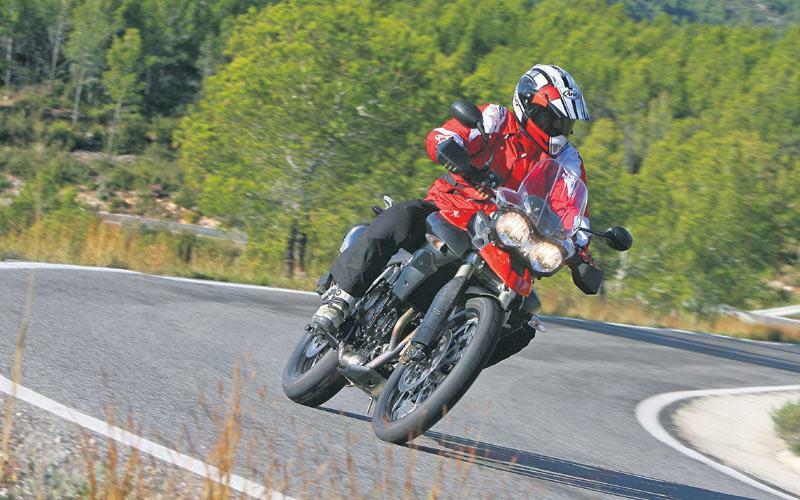 I came to the Triumph Tiger 800xc after having previously bought a new Moto Guzzi. What a difference. Coming from a sluggish motor that ran out of puff just when I needed it, the Tiger's motor is a revelation. The Tiger has an engine that produces an almost electric-motor spread of torque, and there is more than enough power for legal road speeds. And the handling; Anyone who thinks that the larger front wheel inhibits the handling of the 800xc has obviously never had the dubious pleasure of lugging a heavy old Guzzi round the bendy bits. It took me a while to stop over steering the Tiger at first because it is so light and agile. Now I trust it to go wherever I want it to. Even though I bought my Tiger 'nearly new' second hand, I have had nothing but positive experiences from Triumph, unlike the other lot, who just take your money and wash their hands of you.I am so glad that I bought this bike and returned to the Triumph fold. This is my third Triumph and the best one yet. Excellent motorcycle, reliable, powerful and great handling.